There's good news and bad news for smokers who worry about packing on extra pounds when they try to quit. In a new study, quitters who gained a lot of weight faced a higher short-term risk of developing type 2 diabetes, the researchers found. But the health benefits of quitting were so potent among former smokers in the study that they all had a substantial decrease in their risk of early death -- no matter how much weight they gained, the findings showed. People who gained more than 22 pounds after quitting had a 59 percent increased risk of developing diabetes, according to the report published Aug. 16 in the New England Journal of Medicine. Quitters who gained that much weight, however, also experienced a 50 percent decline in their overall risk of early death and a 67 percent drop in their risk of dying from heart disease. Smokers who keep their weight gain to a minimum while quitting are the best off, said senior researcher Dr. Qi Sun. He's an associate professor of nutrition with the Harvard T.H. Chan School of Public Health in Boston. "Those people really have the maximal benefits of quitting," Sun said. The results show just how devastating smoking is to your health, said Dr. Steven Schroeder, director of the Smoking Cessation Leadership Center at the University of California, San Francisco. "The damage from smoking is so overwhelming that it just beats everything else," said Schroeder, who wrote an editorial that accompanied the study. "Nothing comes close to being so good for your health as stopping smoking." Smokers often gain weight when they quit -- typically less than 10 pounds, but sometimes as much as 30 pounds, Schroeder noted. Previous studies have found that this weight gain could translate into an increased risk of type 2 diabetes, Sun said. To examine the health effects of weight gain associated with smoking cessation, Sun's team analyzed nearly 19 years of data from just over 171,000 U.S. men and women who took part in three studies examining links between lifestyle and health. Participants filled out questionnaires about their health habits every two years. Researchers used that information to identify those who quit smoking and to track their health afterward. On average, people who had recently quit smoking had a 22 percent higher risk of developing type 2 diabetes, compared with those who kept smoking, the investigators found. And that risk was directly linked to weight gain. The more weight people gained after quitting, the greater their diabetes risk. This risk peaks about five to seven years after quitting, and then gradually wanes, Sun said. Those who gained no weight had no statistically significant increase in diabetes risk. But everyone who quit smoking reduced their risk of early death, no matter how much weight they gained, the study authors stressed. "Even though there's a short-term increased risk of developing diabetes, the long-term benefits regarding cardiovascular health are very clear, and that is not dependent on weight gain," Sun said. 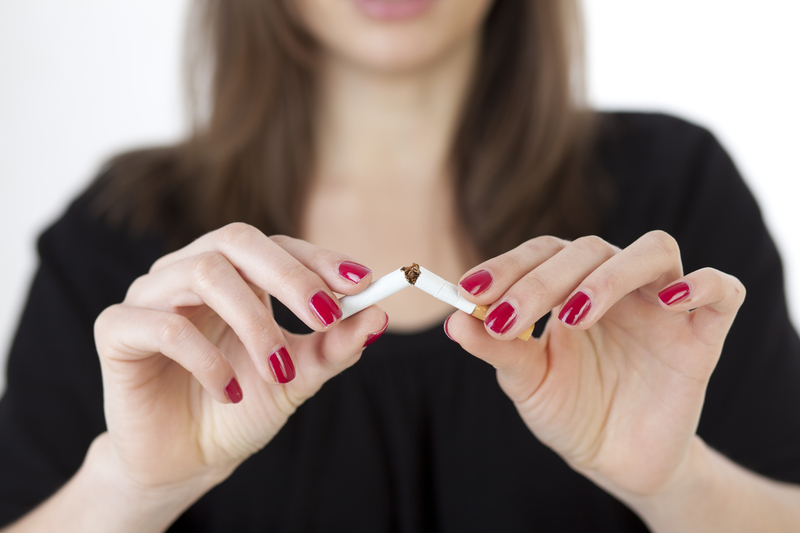 The possibility of weight gain should not deter smokers from quitting, Sun's team concluded. For best results, quitters should try to eat right and work out while they kick the habit, Sun suggested. "Studies show if you eat a healthy diet, if you improve physical activity, weight gain can be reduced and controlled while quitting smoking," he said.